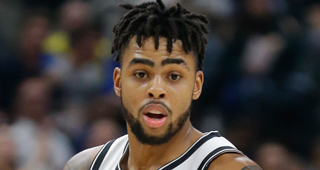 D'Angelo Russell said he wanted to return to the Brooklyn Nets next season, although he understands the business side of the game. "I definitely want to be here. But I also know it's a business, too. So I'm not going to play that role like I don't know what could possibly happen. Say somebody comes here that I have to be a part of (a transaction to acquire them), I know that could be a possibility. So I just want to stay in this moment and not speak too soon about anything," said Russell. Russell is a restricted free agent this summer, and the Nets have the right to match any offer for the point guard. Russell added that the Nets have a hometown advantage in his upcoming free agency. "Yeah, for sure, for sure. I don't know any other teams, I don't know any other GMs or coaches. I don't know any of those people. I know where I'm at. So it definitely gives you that advantage," said Russell. 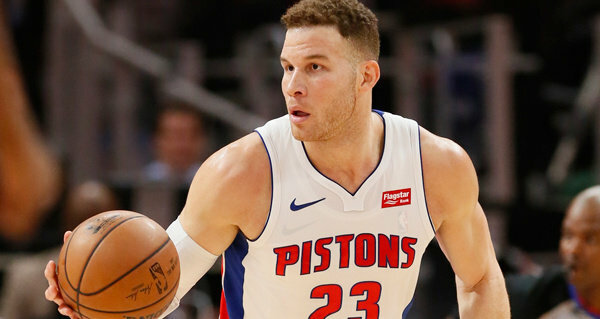 Blake Griffin had successful surgery to relieve soreness in the left knee. He is expected to be fully recovered by training camp in September. The injury caused Griffin to miss the last two weeks of the regular season and postseason. Griffin, who played in 72 games this season, averaged a career-high 24.5 points per game. 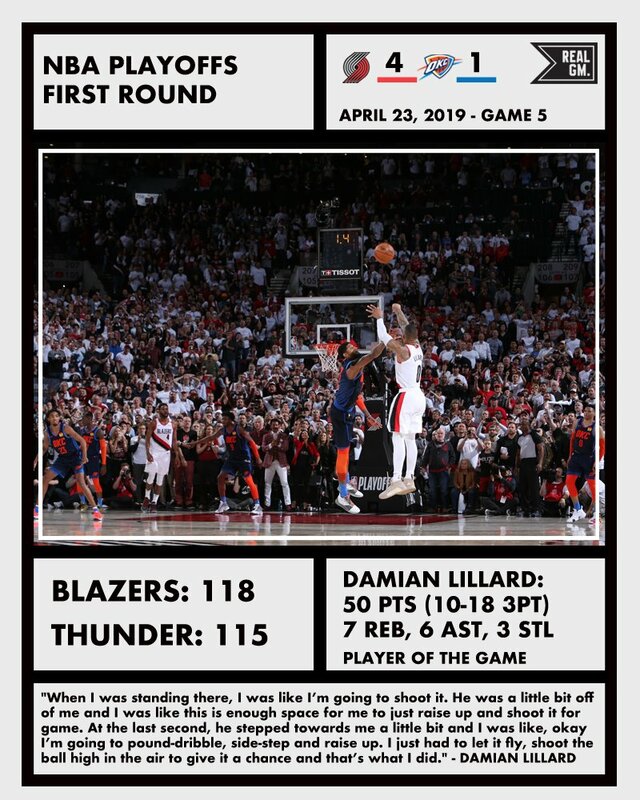 The Portland Trail Blazers closed out the Oklahoma City Thunder with a 118-115 win in game 5 after Damian Lillard hit a 37-foot shot at the buzzer. 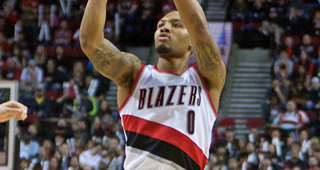 Lillard finished with 50 points, while hitting 10-18 from 3 in the game. Lillard is shooting 8-12 from 30-plus feet, according to Second Spectrum. "I didn't want to put it into the referee hands. Where if there was contact or maybe they get away with contact or I end up having to take a tougher shot because there was contact and they don't want to decide the game. So I was standing there looking at the rim and I was like this is a comfortable range," said Lillard on his game-winner. Lillard added that his 50-point performance was "probably" the best game he's ever played. "There's been a lot of back and forth, a lot of talk and all this stuff, and that was the last word. That was having the last word," added Lillard. Paul George, who was defending Lillard on the final possession, said Lillard took a bad shot. "That's a bad, bad shot. I don't care what anybody says. That's a bad shot. But hey, he made it. That story won't be told that it was a bad shot. We live with that," said George. 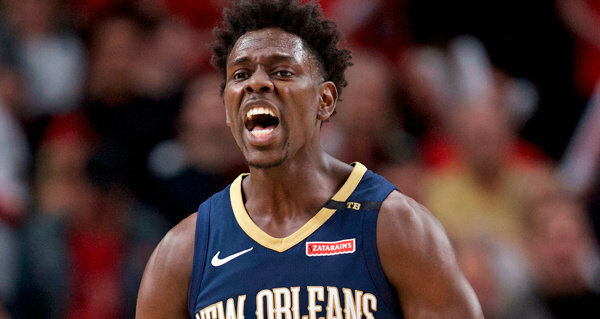 The New Orleans Pelicans have no interest in trading Jrue Holiday this offseason. The Pelicans are expected to trade Anthony Davis, which has put the future of Holiday with the franchise in doubt as they're about to embark on a probable rebuild. Holiday re-signed with the Pelicans in 2017 and won't be a free agent until after the 20-21 season. 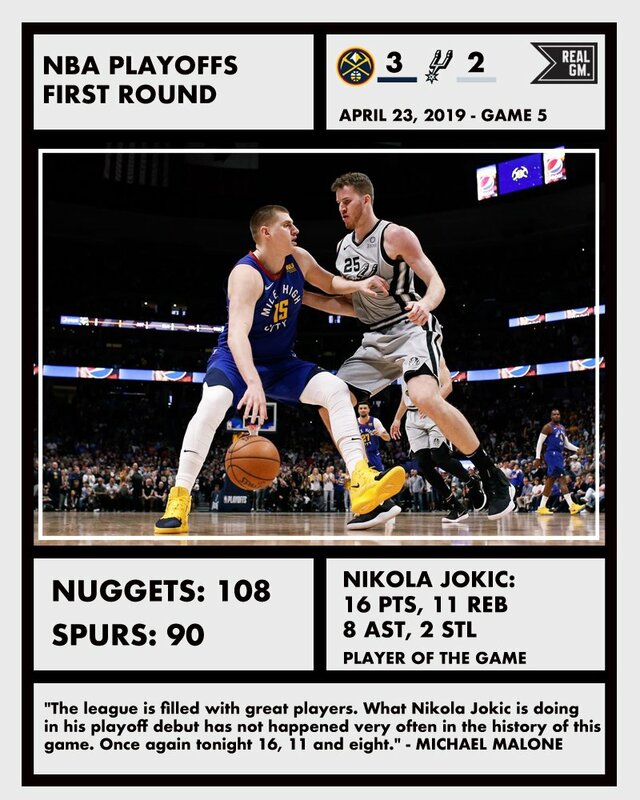 What happened in four snapshots in the NBA Playoffs on Tuesday, April 23, 2019. 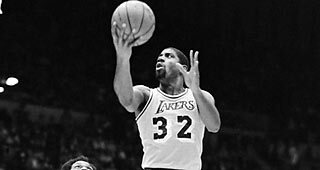 HBO has ordered a pilot for a scripted drama based on Jeff Pearlman's nonfiction book Showtime: Magic, Kareem, Riley, and the Los Angeles Lakers Dynasty of the 1980s. Adam McKay will produce the project and direct the pilot. "Jeff Pearlman's book and Max Borenstein's script of the story of the Showtime Lakers really knocked me over. Sexism, racism, tragedy, redemption, no-look passes and a giant cultural shift in America... I can’t wait to start filming," McKay said Tuesday in a statement. McKay has already begun exploring casting options for Magic Johnson, Kareem Abdul-Jabbar and Pat Riley. 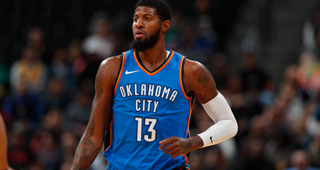 Paul George managed to contest Damian Lillard's shocking 37-foot buzzer beater to close out their first round series. George was then asked if there's anything to be done to defend a 37-foot shot. "That's a bad, bad shot," said George. "I don't care what anybody says. That's a bad shot. But hey, he made it. That story won't be told that it was a bad shot. We live with that." Lillard explained his thought process leading to the shot. “I didn’t want to put it in the referee’s hands – where if there was contact and maybe they get away with contact or I end up having to take a tougher shot because there’s contact and they don’t want to decide the game," said Lillard. "When I was standing there, I was like I’m going to shoot it. He was a little bit off of me and I was like this is enough space for me to just raise up and shoot it for game. At the last second, he stepped towards me a little bit and I was like, okay I’m going to pound-dribble, side-step and raise up. I just had to let it fly, shoot the ball high in the air to give it a chance and that’s what I did." Lillard responded to George's comments later to Chris Haynes of Yhoo! Sports. “It’s a bad shot, but I was 8-of-12 from 30-plus feet in the series and I work on it regularly. ... 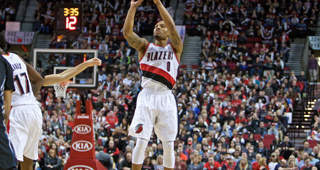 It wasn’t a bad shot tonight,” said Lillard. 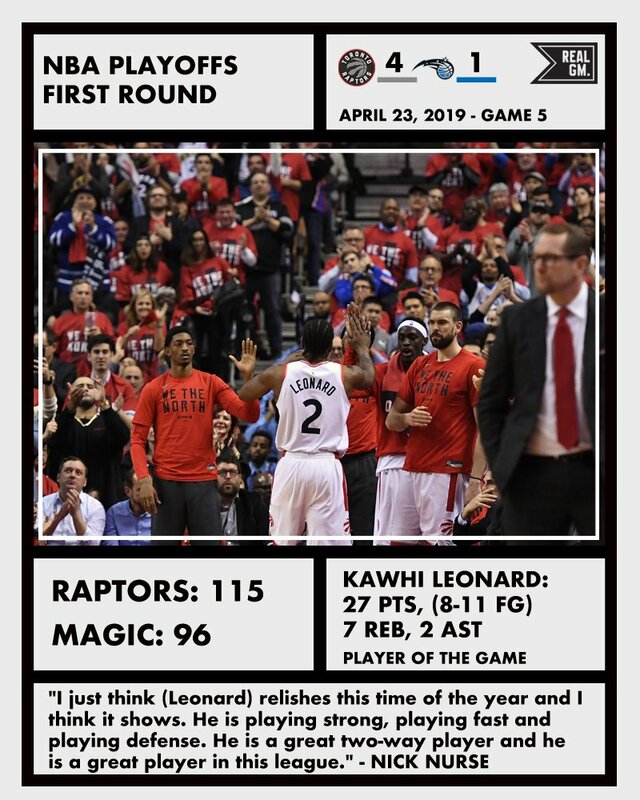 Lowry averaged 14.8 points and 8.8 assists after being held scoreless in game 1. Russell Westbrook's game slipped during the regular season and his playoff performance against the Blazers was unquestionably disappointing. Nate Duncan and Danny Leroux recap all of the NBA action from Tuesday night. Pierce will join Steve Kerr and Jay Wright under Gregg Popovich's staff. The Cavs have already conducted interviews with Juwan Howard and Jamahl Mosley. Rob Pelinka and Kurt Rambis conducted the interview with Jason Kidd, which lasted for several hours. The NBA previously controlled all sponsorship deals internationally at the league level. If the Suns fall out of the top-2, they could look to trade up to select Ja Morant. 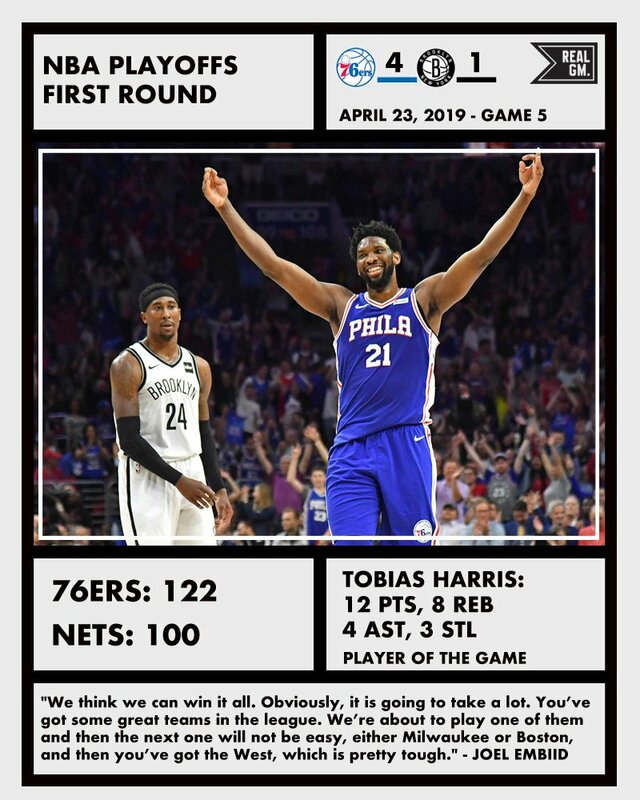 On the Game 4 wins by the Bucks and Rockets. Jeff Green has played for six different teams over the past five seasons. Monty Williams is also a candidate for the Lakers. Cole Anthony is the No. 2 recruit in the ESPN 100. Clint Capela has been told he won't be better for another four or five days. 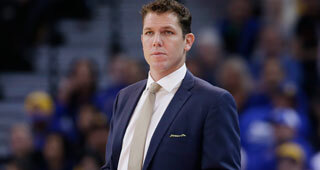 The Kings considered other candidates such as Monty Williams and Ettore Messina, but did not interview them as they zeroed in on Luke Walton. The Bucks face the Celtics in the second round of the playoffs. 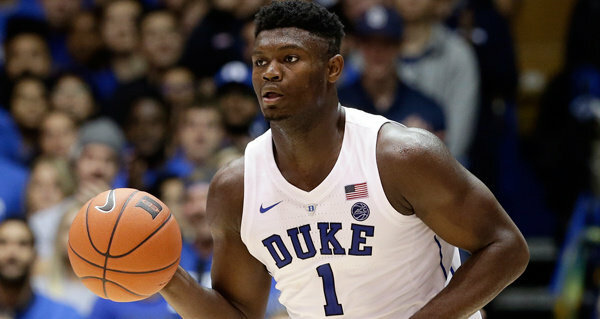 Duke would have the top-ranked class for the 3rd straight year. 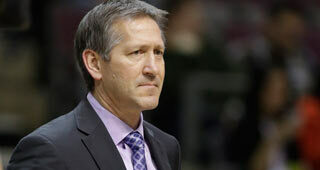 The NBA fined both Tsai and Marks, and suspended Marks one game, for their conduct following the Nets' game 4 loss. Williams is set to meet with the Lakers for a second time. Nate Duncan and Dave DuFour recap the playoffs so far. The alleged incident took place at a Santa Monica hotel room.